Orvaline Woodruff, 87, of Sabina, passed on Monday morning, January 28, 2019, at Clinton Memorial Hospital in Wilmington. Born in Leesburg on May 16, 1931, she was the daughter of Orville R. and Iva Mae Rooks Easter. Orvaline was a 1949 graduate of Fairfield High School in Leesburg. She formerly worked at Producers Livestock in Wilmington and retired from National Bank and Trust, Sabina in 1996. Orvaline was a member of Sabina Senior Citizens and the Sabina Church of Christ. She leaves behind a daughter, Lori Shepherd of Wilmington, and son, Bryan Woodruff and his wife, Teresa, of Sabina. Also left to cherish Orvaline’s memory are grandchildren: Loreli (Matt) Privett, Jeremy Dugan, Daniel Dugan, and Justin (Kelly) Davis; greatgrandchildren: Cory, Ian and Andrew Privett and Kylie Davis; brothers: Howard (Cookie) Easter and Darrell (Susie) Easter, all of Leesburg; and special friends, Rick and Donna Clevenger. Orvaline is preceded in death by her husband of 60 years, George Thomas Woodruff, who passed March 6, 2013. The two were united in marriage on January 9, 1953. She is also preceded in death by a sister, Norma Kahlhamer. Memorial contributions are suggested to the Sabina Church of Christ. 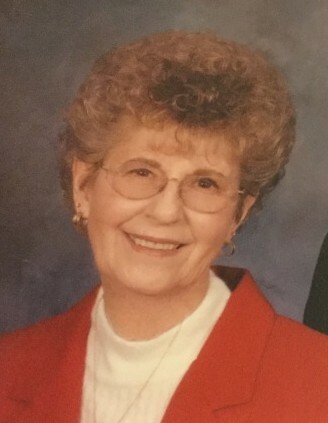 Family will receive friends at Littleton Funeral Home, Sabina, on Saturday, February 2, 2019, from 10:30am – 12Noon, when a funeral service will begin. Burial to follow at Sabina Cemetery.